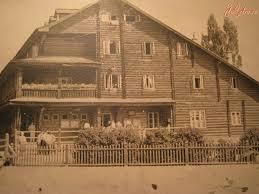 Tourist center “Edelweiss” is located in the center of Yasinya. Yasinya (from Hungarian sources in 1587 – 1944, in parallel using the name Korosmezo “Kereshmezo”). Since 1947, Yasinya – urban-type settlement. The village is situated at the foot of the Carpathian peaks Goverly, Petros, Blyznytsi, at an altitude of 647 m. Above sea level. 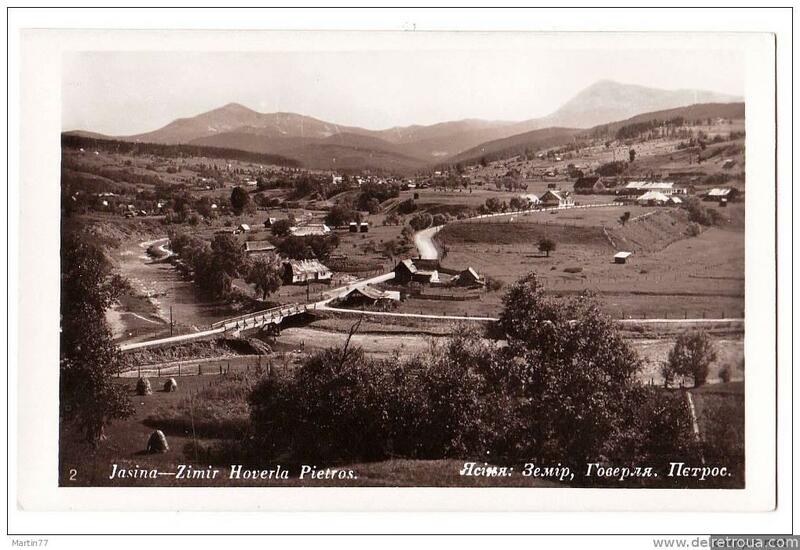 According to the village river flows and Black Tisa Lazischina, which merge in the center of the village. The population of the village of Yasinya- 9100 people. Most of the population – Ukrainians (Hutsul) – 7948, or 87.6%. Live as Hungarians – 1052, or 11.4%, other nationalities – 1%. On the basis of the village there is a legend, about the preservation of God’s master Struk, who found in the mountains of winter. 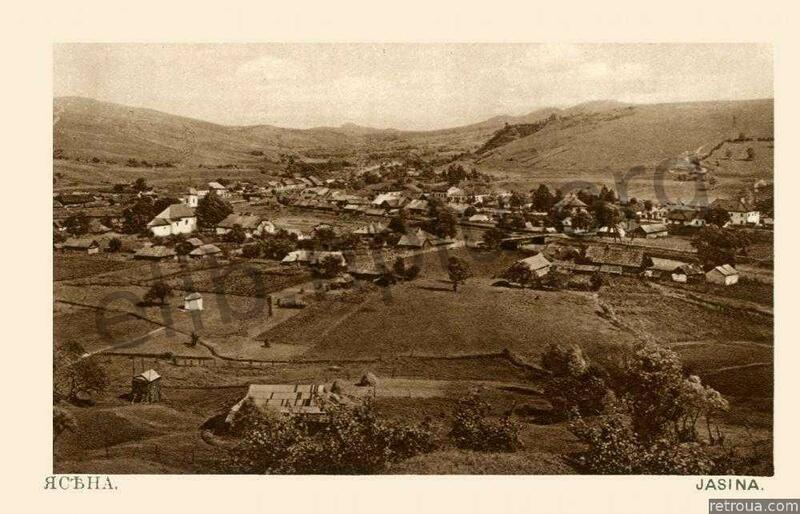 Analysis of the legend of Czech entografov led to the conclusion that the first settlers in the village of Yasinya, were from the village green. Michael Tivodar in his robot “Transcarpathia: narodoznavchі rozdumi” indicates that the ancestors of the local hutsuls were natives of Kosovo and Kutiv. However, it is stored in the area of ​​church Strukovskaya toponyms “Krivorіnya”, “Zelenchinka” Vaskіvchik “,” Bukovina “and carried out some work on the comparison of folklore material, give reason to assume that the first wave of settlement, it may have been carried out from Bukovina, and to be exact – of Vizhnitskogo district of Chernivtsi region. Ashenvale binds the name of the village. Yasenevaya tree and sheep are shown in the old coat of arms of the village of Yasinya. Strukovskaya church, and in the old days – a small chapel, and today is its symbol. The first written mention of the village dates back to about 1555. The people portrayed in other dates: 1497, 1500, 1553 GG According to the documents, lived in the village and owned it hutsuly Hungarian feudal Dragfe. In 1583 the village passed into the ownership of gentry Caroli, and since 1672 – Bychkovskaya breech dominoes. know that here, it is from 1672 begins the development of forests. Logging at the time were made very carefully: cutting took place only in winter. The first year of the forest were cut and left in place. In the second year cut off the tops of trees and branches. and only in the third year, almost dry, bark, tree down into the valley. Next, the Tisza, trees lowered to Bychkova. According to the 1720 census, the village population of 53 families. In 1724, for floating timber was constructed first reservoir (local name <causeway>) in the banter. In the second half of the 18th century, the family relocated to the village of German settlers who occupy the best land to give the sovereign loans for farming. It is known that the first settlers came here from the village Roteveyze. Unfortunately, the track is a village fails. In the late 18th century, the robots in the forest, along with immigrants, employed more than 400 people. Hutsuly came up repeatedly on the armed uprising against the government and supported zahvatchikov.Oni oprishkovskoe movement headed by O. Dovbusha that in 1743 and in 1745 visited Yasinya. Preserved memories and the name of the tract White Crosses, where villagers have seen the legendary leader. At the beginning of the 19th century in the village begin to act early Church parafiyalnye school. Judging from the documents about the deed to the land, training them was conducted in Church Slavonic. In the documents of the time there are records Ukrainian words in Latin letters. Opened a school for the families of colonists. In 1800, the family settled in the village Maramarosh Jew who founded the Jewish community in Yasin. He obtained a license for the organization to ensure the products of German immigrants and the local population, who worked in the logging industry. The revolutionary events of 1848-1849 in Europe were made and Yasinya. People demanded to reduce the tax burden and the allocation of land. In June 1849, a punitive detachment brutally cracked down on the rebels. In the mid-19th century, the village population was 2,778 people. According to the 1900 census the population of the village was already 3454 person. Of these, 1,439 were employed in agriculture, 219 – in handicraft production, 150 in commerce, 255 were workers – podennikami, 158 servants, 330 people went to the seasonal work. In the late 19th century and early 20th century in Yasin effected regulation of rivers and tributaries, and built a railway (completed in 1896) .These measures have been taken to increase the export of timber, which was used even as the ship. wood produced in this region produced a very valuable furniture and other products. Composition of the population was as follows: Total population – 9,795 people; of them used the spoken language: Ukrainian – Hungarian 6824 – 1461; German – 1484; others – 26; By religion: Greek Catholics – 6904; Roman Catholics – 1285; Jews – 1520; reformers – 76; Calvinists – 8 According to reports, about this time, in Yasin lived two Orthodox families. During World War I, the Austro-Hungarian army was designed nearly 300 villagers. Twice in its territory were Russian troops for the sympathy which has been sentenced to death about 60 people. November revolution in Austria-Hungary (1918) led to the fall of the monarchy. These events marked the beginning of the proclamation of the Republic gutsulsky centered in Yasin. On November 8, 1918 in the center of the village were gathered many thousands of the council, which was created by Ukrainian People’s Council. It includes the most respected people of the village, including the representatives of the German, Hungarian and Jewish societies. The Council is chaired by the people was selected S. Klochurak. Ukrainian People’s Council Yasinya was well organized and democratically elected authority. He kept in touch with the government ZUNR, which was organized by <Sektsіya propaganda for Finno-rusinіv>. She was supposed to supply the Transcarpathian Ukrainian literature and textbooks. In December 1918, Yasinya sent 620 th punitive military expedition and government commissioner Kalman Fizeshiri. January 2, 1919 in Stanislav (Ivano-Frankivsk) occurred session of the National Council of Western Ukraine, which proclaimed the union of the West Ukrainian People’s Republic and the Ukrainian People’s Republic. It was made by S. Klochurak, who warmly welcomed the Chairman ZUNR Є. Petrushevich. On the night of 6 January 7, there was an armed uprising, and January 8, 1919 was proclaimed the establishment of the Republic of gutsulsky. Active participation in these events took brothers Basil, Dmitri and Ivan Klympush, Ivanyuk, D. Nimtsuk and others. Just participated in the uprising, 86 people, including 23 elders and podstarshin ZUNR troops. January 13, 1919, the army of the republic under the command gutsulsky S. Klochuruka sent in a separate train to march on Maramorsky Sigitov. The structure consists of hundreds of Hutsul and volunteers from Galicia. Within a short period were released Rahovsky village district and city Rahim. However, the defeat in Sigitskoy Comore not allowed to continue on the liberation campaign. A Hutsul Republic posuschestvovala occupation to edge Romanian troops (June – July 1919). According to Saint-Germain treaty (1919), Transcarpathia became part of Czechoslovakia. Yasinya was a border town. Developing trade and operate warehouses. The Czech government has facilitated the development of agriculture. Provided loans to people who want to buy land. Repaired roads and construction of new roads, retaining walls (slurry). Was built narrow-gauge railway (dismantled in the 60s by the decision of the Soviet authorities). Developing education: in the 30s in the village are four primary, one <Gorozhanskaya> (8-cool), and the school carvers. Created a football team, a voluntary on-Zharno squad. Money for their activities isolated Klympush brothers, who at the time owned the largest wood-processing enterprises and other businesses. Are active <Prosvita> Sports Association “Sich”, “Sokіl”, “Tovaristvo іmenі Duhnovicha” and others. Students in the school of carvers produced art works, furniture that is in demand in Europe. Now products are masters Yasinya village in Hungary (Danube-CESO, Sombotgey), Czech Republic (Prague), Romania (Satu Mare). The political events of 1938, the collapse of Czechoslovakia revived the aspirations of the will, the time gutsulsky republic. Yasinya villagers actively supported the activities of the Government of Carpatho-Ukraine: D. Klympush was Comandante <Carpathian Sich> S. Klochurak was appointed Minister of Economy and then Minister of War. Brothers Klympush strongly supports development of Ukrainian authorities in the province. March 17, 1939 Yasinya was occupied by fascist troops in Hungary. On the outskirts lay the Hungarian-Polish border. In September 1939, after the defeat of Poland in the war, was established Hungarian-Soviet border, which is in search of a better crossed dozens of villagers. All of them were repressed NKVD and sent to Siberia and other camps in the Gulag. 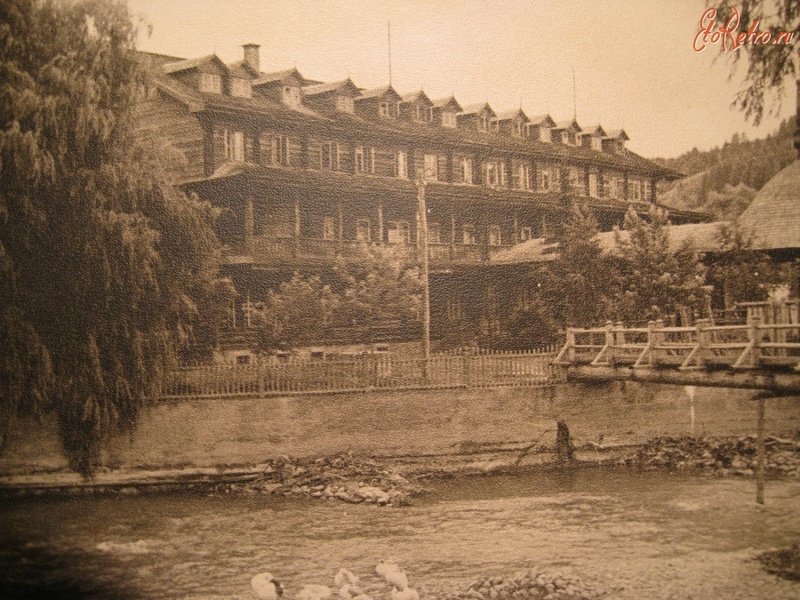 January 4, 1942 in the village of Yasinya parachuted Soviet Intelligence unit, which led yasinyanets OO Borkanyuk. In October 1942, he was hanged in fascist prisons. Decree of the Presidium of the Supreme Soviet of the USSR he was posthumously awarded the title of “Hero of the Soviet Union>. January 6, 1944 the Hungarian fascists committed violent crime: on a national basis was arrested and destroyed almost the entire Jewish population of the village. In the tract near the concentration camp operated. October 14, 1944 Yasinya was released Red Army. In the battles for the liberation of the village killed more than 450 Soviet soldiers. In the ranks of the Red Army and the Czechoslovak Army Corps, voluntarily entered more than 300 villagers. More than 30 of them were killed in the fighting.